Cow Country round pens are the best, and also the safest you can find. sheeted to prevent horses legs from going through the bars. We offer our pen in 40', 50' OR 60' diameter. 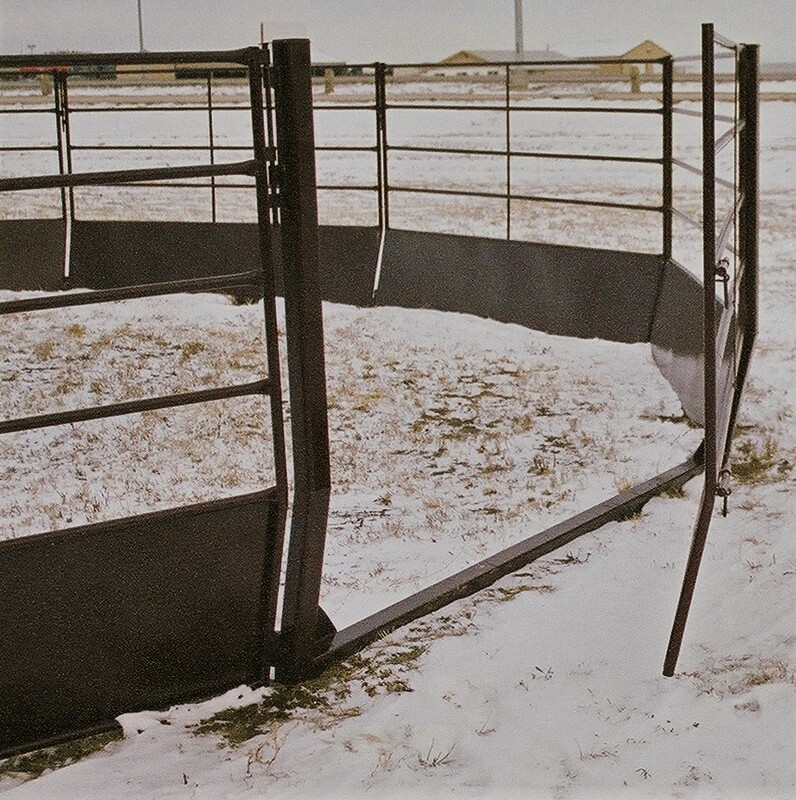 Our 10' entry gate is archless to prevent injuries. They are made from heavy duty 1 1/4", 13 gauge round tubing.